The Chevy Silverado is consistently a top contender for the best American made pickup truck today. Silverados have retained their classic design for the most part since its inception in 1998. With few changes made, trims such as the 2500HD and 3500HD have stayed true to the look and spirit of Chevrolet. 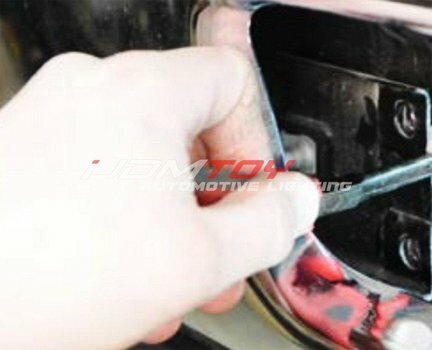 These two trims in particular have an opening on the bumpers that facilitate air flow. While some people may find that design strange, we see it as an opportunity to maximize that space. This complete lower bumper grill mounted LED light bar system for the 2011-2014 Chevrolet Silverado 2500HD and 3500HD is perfect for any late night construction work or off-roading scenarios. Installation is very simple; no cutting or disassembly of your grill/bumper is required. 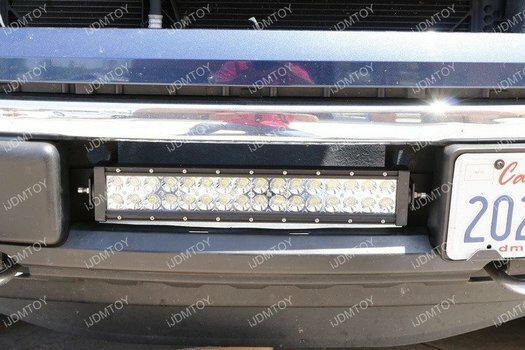 Please note that this LED light bar will not fit in the GMC Sierra, despite it being an exact counterpart. 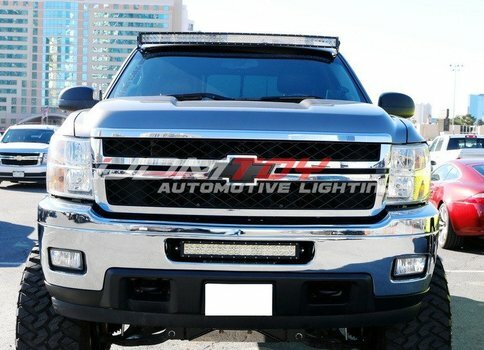 This LED light bar is very popular and you can find it on Amazon at Chevy Silverado 2500HD 3500HD Lower Bumper LED Light Bar for just 149.99 dollars. Here we are going to show you step by step on how to install this LED light bar. Locate and unscrew the four bolts that inside the lower bumper insert area. 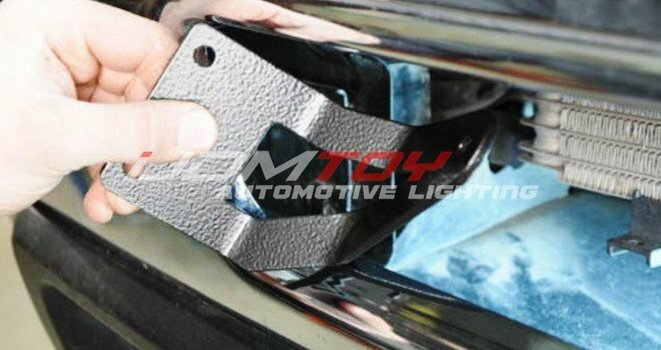 Locate the two bolts on each side, which should be immediately inside the bumper lower grille insert area. Screw in the exclusively designed LED light mounting brackets. 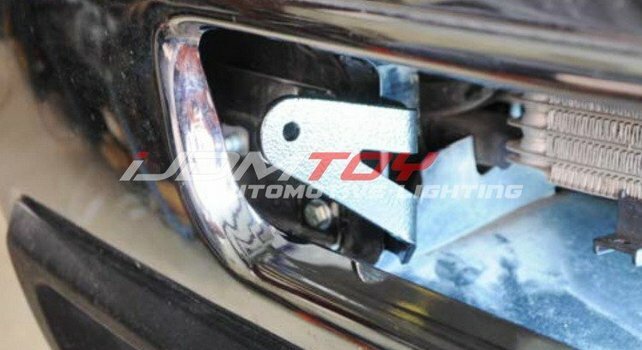 The light bar support brackets are placed behind the frame horn and should be curving towards the center of the bumper, and repeat on the other side. Bolt the 20" LED light bar between two metal brackets. Run a nut and bolt combo through the brackets and into the LED light bar to secure. Wire up the LED light bar. Test the light bar with the switch and enjoy the LED lower bumper light bar kit on your Silverado 2500HD 3500HD! 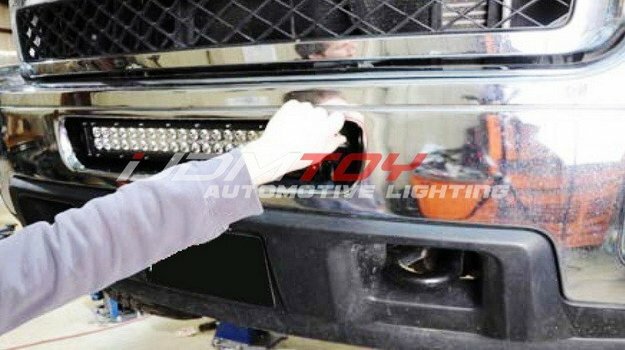 As you can see, the lower bumper insert LED light bar is very easy to install. 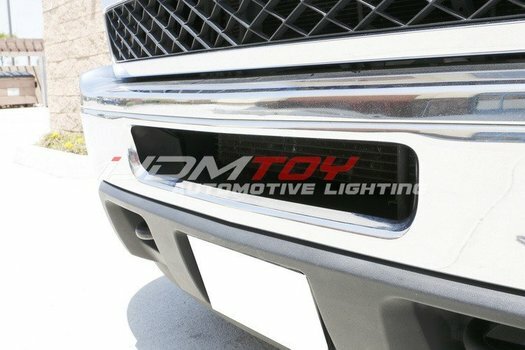 It completely utilizes the empty place on the Chevrolet Silverado 2500HD and 3500HD's front bumper insert area to add this off-road LED light bar without being too "AFTERMARKET" look.